Video: Sewing straight – the tools you need! A straight line of stitching is definitely a telltale sign of quality work. But sometimes it’s not as easy as it sounds, even with practice. In this video, I share my top six tools that will make sewing straight a breeze. And the best part? 5 out of 6 tools are either pretty much free or included in the toolbox that comes with most sewing machines. The only thing that cost a pretty penny is the magnifying lamp that I’ve praised before. Mine is from Prym and doesn’t appear to be sold anymore, but a lot of people seem to like he Brightech Magnifying Desk lamp (Amazon Affiliate link), so that could be an alternative to explore. What are your favourite tools and hacks to help you sew straighter? Or have you reached a point where you have gotten so proficient that you can gauge your sewing without any extra help? As for me, I still rely on tools even though I’ve been sewing for over 30 years. It just makes sewing a much more stressfree activity, knowing that I have set myself up for success using the right tools. 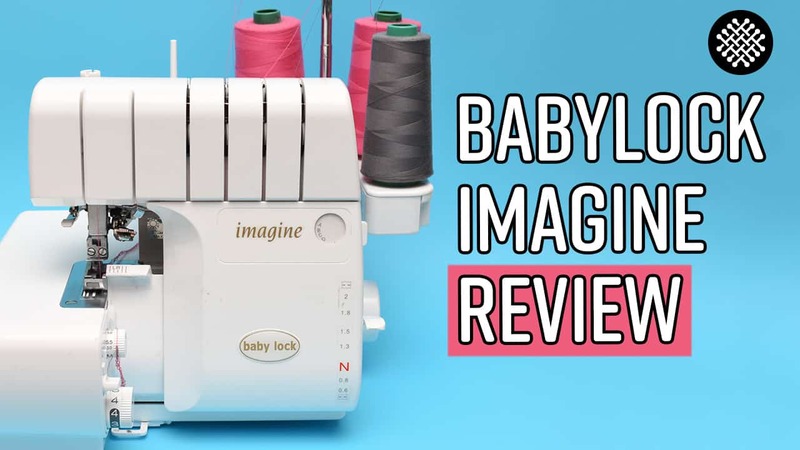 Video: BabyLock Imagine Serger Review—is it worth the price? Good to know that the lamp delivered! It sounds better than mine actually, I would love a dimmer! Thanks for the suggestions. I believe i heard you sa Blu-Tack for the adhesive. Found it on Amazon. Will have to order.